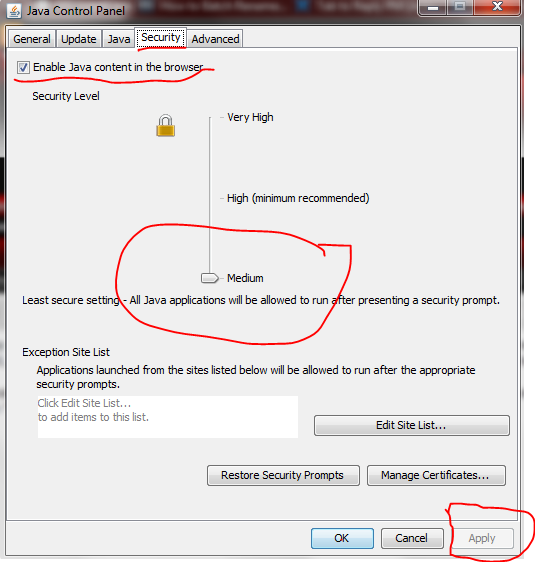 In this short little guide I am going to tell you how you can change your java security settings to allow you to play the webclient. Please note that this will not work for the Google Chrome web browser. 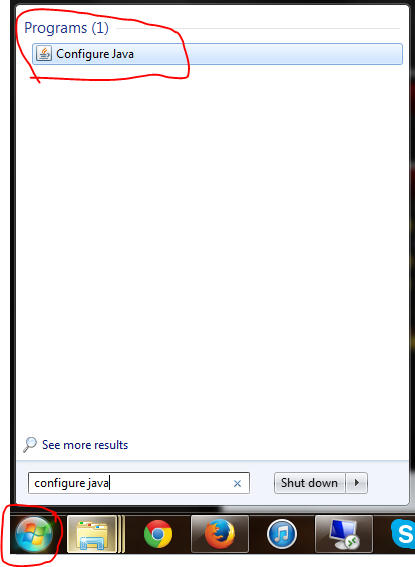 If you are using Windows 7, open the start menu and search "Configure Java"
If you are using Windows 8, press the windows key and then click on the search button and type in "Configure Java" and then press enter. Wait a few seconds for the applet to open. You are going to want to click on the "Security" Tab. Drag the slider to medium and then restart your web browser and the webclient will work. 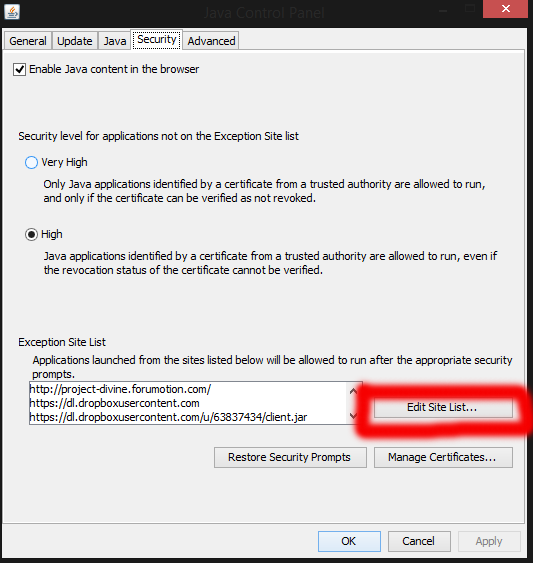 If you are using a newer version of java than that, which most of you probably will be, you will have to add an exception, as the medium security option is no longer a feature in the newer java versions. You will want to make yours look like mine. 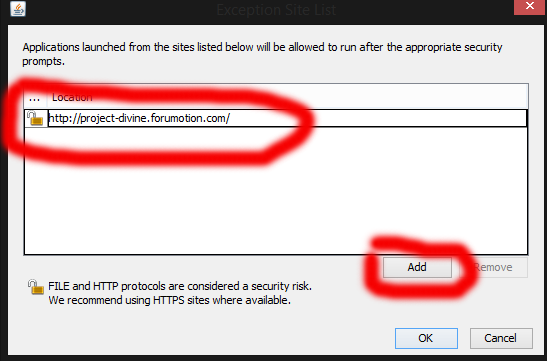 Click on "Edit site list"
Double click in the little window that pops up and type in "http://projectdivine.forumotion.com" You will be prompted and asked if you are sure that you want to do this. Click yes, and then click "Ok". You should now be able to restart your web browser and the client will work. If you do not want to this and just want an easier alternative to play, I highly recommend the downloadable client. Its a small and easy to use application and it allows you to play from the convenience of your desktop. Thanks for reading this and I hope you get back into the game as soon as possible! If you have any questions comment them below and we will try to get back to you asap!